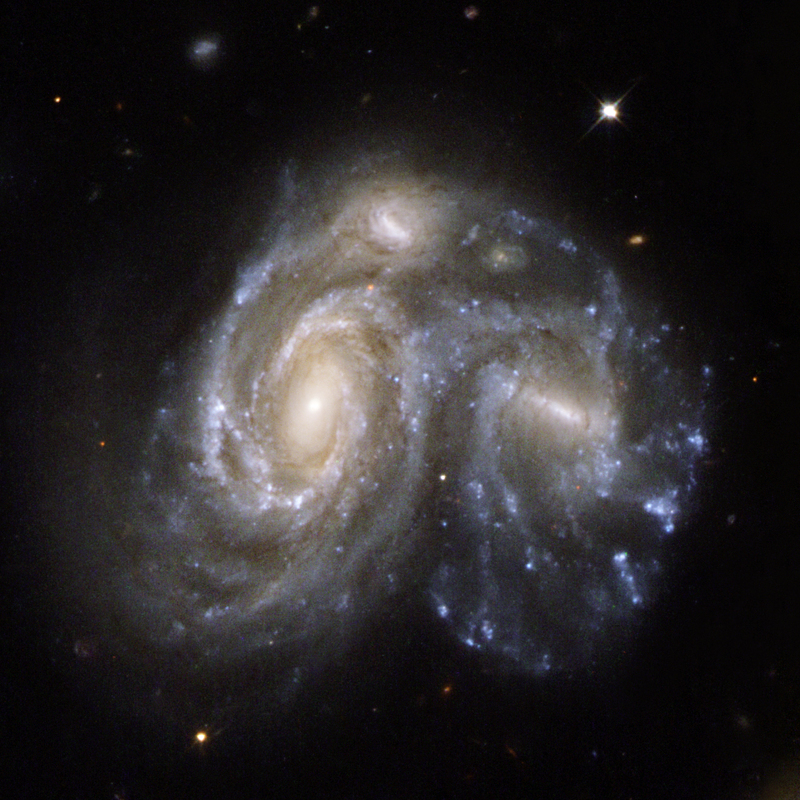 Explanation: Linking spiral arms, two large colliding galaxies are featured in this Hubble Space Telescope view, part of a series of cosmic snapshots released to celebrate the Hubble's 18th anniversary. Recorded in astronomer Halton Arp's Atlas of Peculiar Galaxies as Arp 272, the pair is otherwise known as NGC 6050 and IC 1179. They lie some 450 million light-years away in the Hercules Galaxy Cluster. At that estimated distance, the picture spans over 150 thousand light-years. Although this scenario does look peculiar, galaxy collisions and their eventual mergers are now understood to be common, with Arp 272 representing a stage in this inevitable process. In fact, the nearby large spiral Andromeda Galaxy is known to be approaching our own galaxy and Arp 272 may offer a glimpse of the far future collision between Andromeda and the Milky Way.